Some say that Cirebon people is neither Sundanese nor Javanese, but clearly the struggle of cultural influence between the two goes back since medieval times. Because of that, the city benefitted from all the mash up and inherited a rich culinary tradition. A certain place called Griya Kula represents all what’s best from Cirebon cuisine in one stop only. Good news for everyone is that we don’t have to go far for great Cirebon dishes, courtesy of the royal family of old Sultanate of Cirebon. 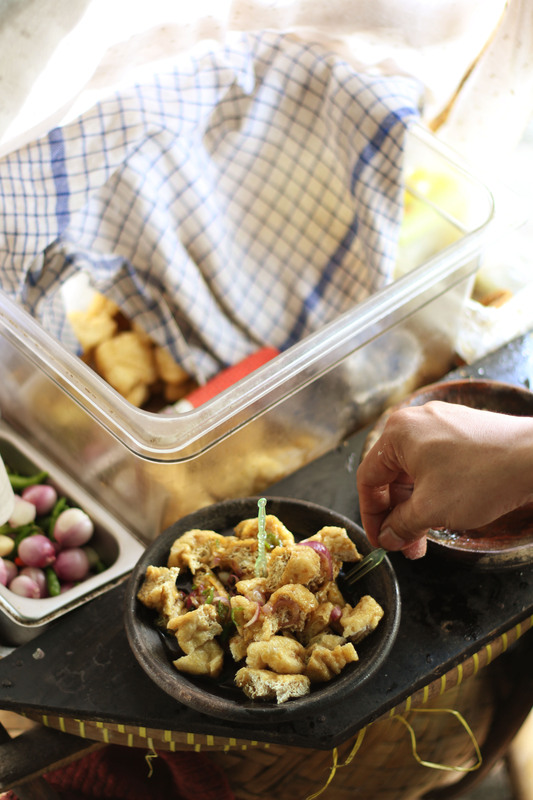 A guild of street food hawkers called Griya Kula is the closest you can visit in Jakarta. Because of this, you don’t have to go through the fuss from Cikampek toll road traffic and hours of trip just to get to the city for authenticity because all the ingredients are being sent on freshly on daily basis via Cirebon Express train. An extensive treat fit for your lunch are all here from nasi lengko (rice with tempe and tofu poured with peanut sauce and bean sprouts), nasi jamblang (Cirebon-style of mixed rice dish), bubur sop ayam (rice congee mixed with chicken soup), empal gentong (beef soup), the really unique docang (rice cakes, tempe, cassava leaves, bean sprouts, and grated coconut), alongside the much-loved tahu gejrot (sliced fried tofu served with brown sugar and vinegar sauce). In addition, Cirebon-style sate kalong here is among my most memorable choices, especially because it was made from grilled mashed buffalo meat combined with peanut sauce and the highly exquisite taste of Cirebon sweet soy sauce. 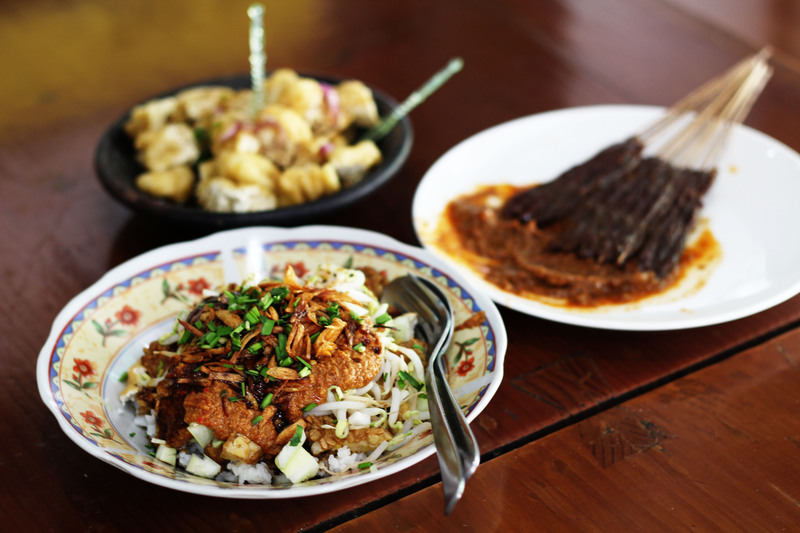 At Griya Kula, food adventure has never been this interesting and that goes with the fact that you only need to do one stop to explore the best from Kota Udang – the famous nickname of Cirebon. Despite this admirable and painstaking effort to bring the authenticity to Jakarta, the location they picked to open the business may seem problematic. Griya Kula opens far in East Jakarta within a complex of old, dilapidated swimming pool and tennis club. There are offices nearby to satiate the workers but it can only do so much for the day, except perhaps in weekends when families come to enjoy their recreational sports and ended up having lunch here. Nevertheless, with this kind of quality and what they have gone through, it’s a must visit no matter on which part of Jakarta you live in. Take some time off and enjoy the best from Cirebon here once in a while.